What makes a sugar glider so sweet? Made with copic markers and liners this guy really likes his drinks sweet. 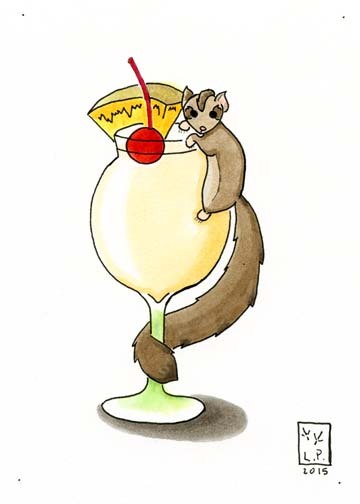 So many animals are brown but luckily there are plenty of bright colored drinks to do with them. I almost put an umbrella with this little guy but decided it would just muddy up the pic.